Brahmi vati is an Ayurvedic medicine in tablet form, used in the treatment of depression, blood pressure etc. It is used in the Ayurvedic treatment of depression, psychiatric conditions, sleeplessness, MDP, chronic fever, tremors in hands and legs, anxiety. It also helps to maintain normal blood pressure. 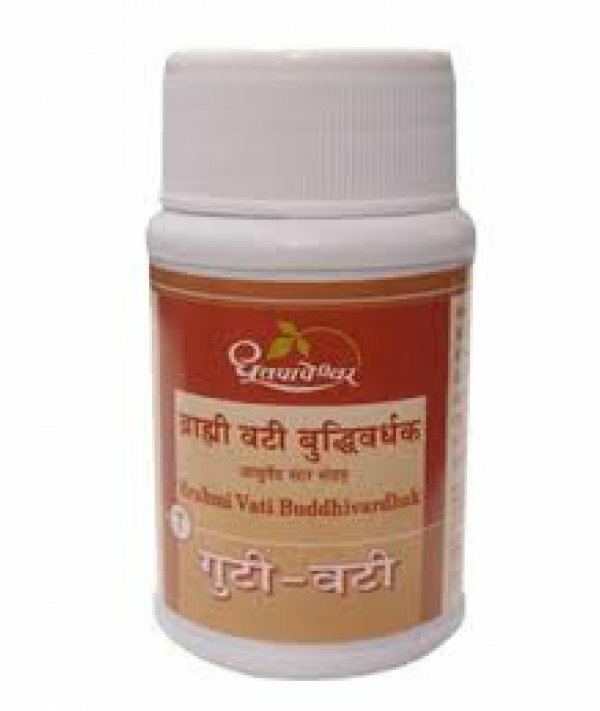 1 – 2 tablets per day, usually administered along with Gulkand / raisins or with honey, amla Murabba etc, based on the Dosha imbalance of the patient. First the rsasindhura is taken in a mortar and made into fine powder, to it, the fine powder of rest of the ingredients are added and mixed well, filtered. It is ground with decoction of Jatamansi, and tablets of 3 Ratti – 375 mg is made.